Age: circa 1900s, Serial No. 3161, Platen size: 13" x 9"
British made, but definitive clone of the American platen press of George Gordon, the Arab, so named apparently because the Arab people were, in Wade’s view, seen as a hard and diligent worker. The Arab came into being in 1872. 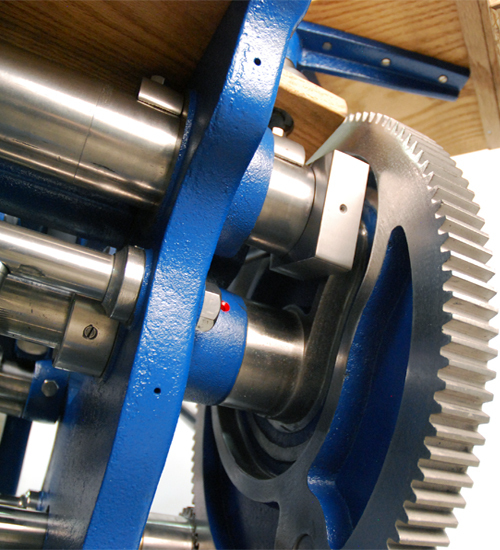 Built in Halifax, England, Wade utilized articulated arms for the forme rollers. This was originally designed again by George Gordon and now although rare, used on Gordon’s new style Gordon, of which the Arab is almost an identical copy. Originality comes from the unique ink fountain design and the ability to use leathers for the bearers. 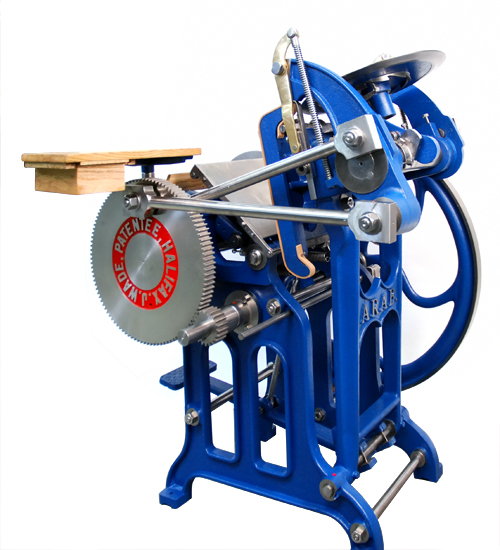 Both were well received features although leather strips have and can be used on virtually any platen press. 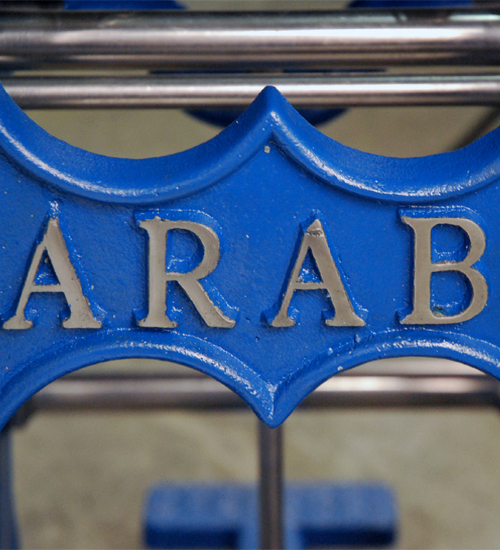 Arabs remain very popular especially in the UK, Australia and New Zealand. They were actually manufactured right up to 1959, and spares were still available as late as 1984. That’s almost a 100-year cycle and makes the ARAB a unique machine. 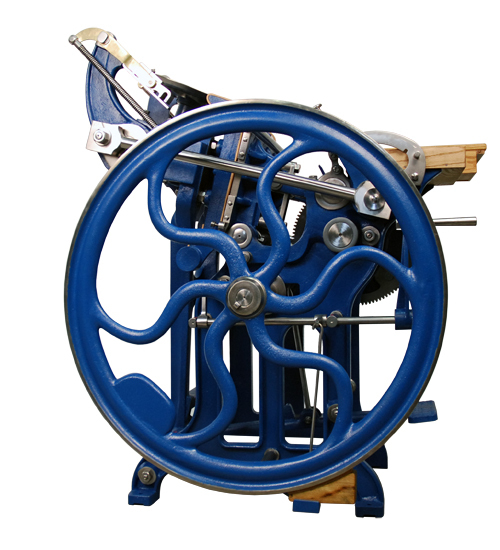 Although referred to as the best platen ever made, considering few found George Gordon’s “New Style” attractive, it begs us to consider that at best the ARAB was a great machine and one of the best for sure. Our press has had years of neglect and its share of bumps and smashes. Several major repairs were required to ensure this machine would meet the same level of conformity as that of a machine leaving the factory.